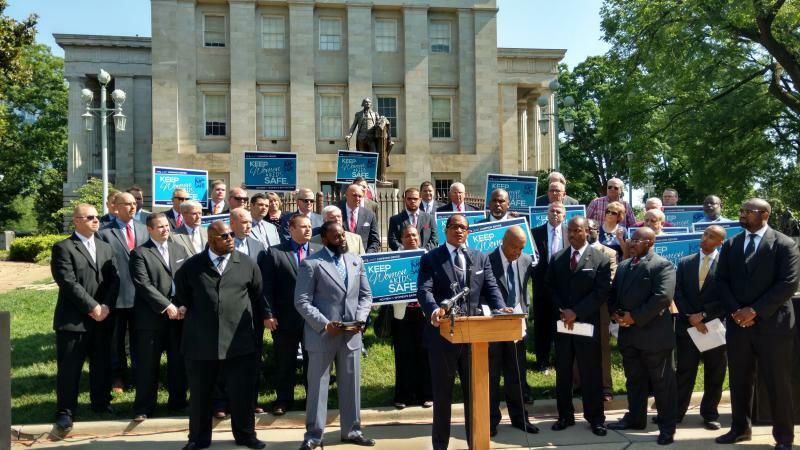 Faith leaders joined in Raleigh to voice their support of House Bill 2 and denounces comparisons between Civil Rights struggles and LGBT equality efforts. A group of clergy convened in front of the State Capitol Building to stand in solidarity and support House Bill 2 on Tuesday morning. The group of about 40 pastors - both black and white from across the state - spoke for more than an hour in the foreground of a George Washington statue. 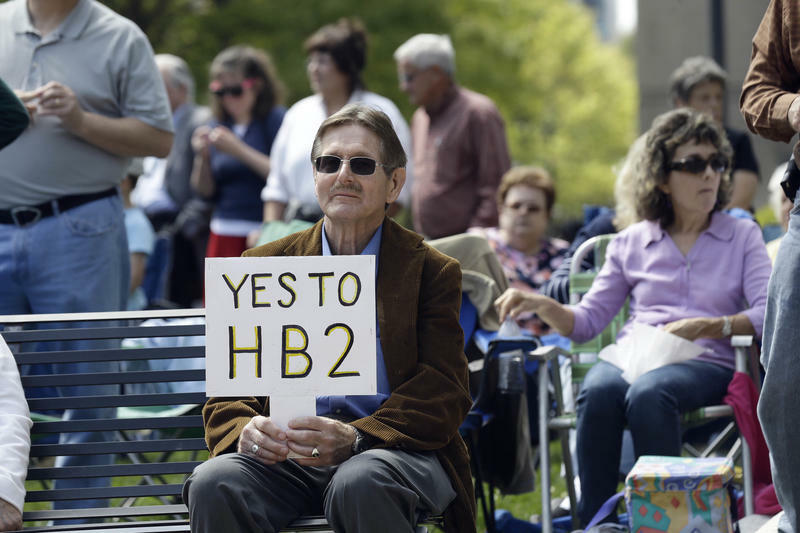 The religious leaders criticized the federal government for its denouncement of HB2, the controversial state law that prevents cities from expanding rights for gay and transgender people. The religious leaders also condemned President Obama for comparing LGBT issues to the Jim Crow South. "African-Americans are a legitimate minority, who have legitimate minority status - to my knowledge the LGBT community has not been given legitimate minority status," said Patrick Wooden, Pastor at the Upper Room Church of Christ in Raleigh. Supporters of HB2 say this debate is not about civil rights, but rather "special rights." Speaking before a crowd of about 75 people, some of the clergy contended that changing gender is a fallacy. "HB2 is a threat to no one," Wooden said. "It does not violate Title IX, and it certainly doesn't violate the 1964 Civil Rights Act. 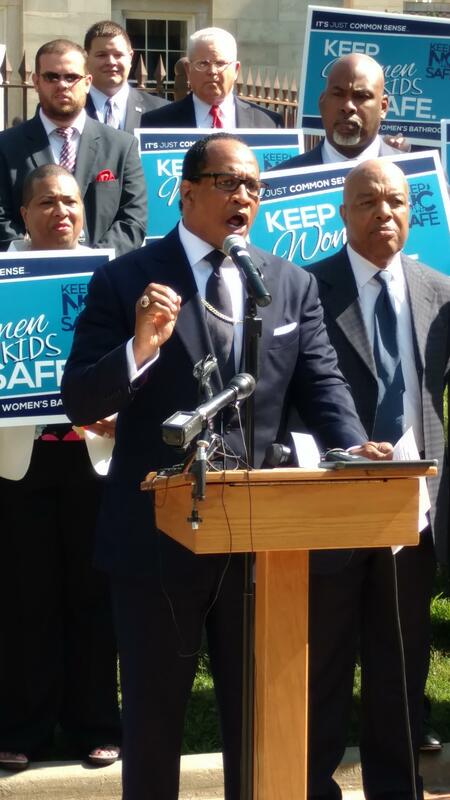 It is good solid, common sense legislation that will protect everyone." "Despite what the President says, despite what Loretta Lynch says, it's simply not like being black," he said. However, the Obama administration has disagreed with that interpretation. They contend court rulings have established protections for the LGBT community. Multiple lawsuits have been filed in the wake of the controversial state law. It has been two months since state lawmakers pushed through the bill. 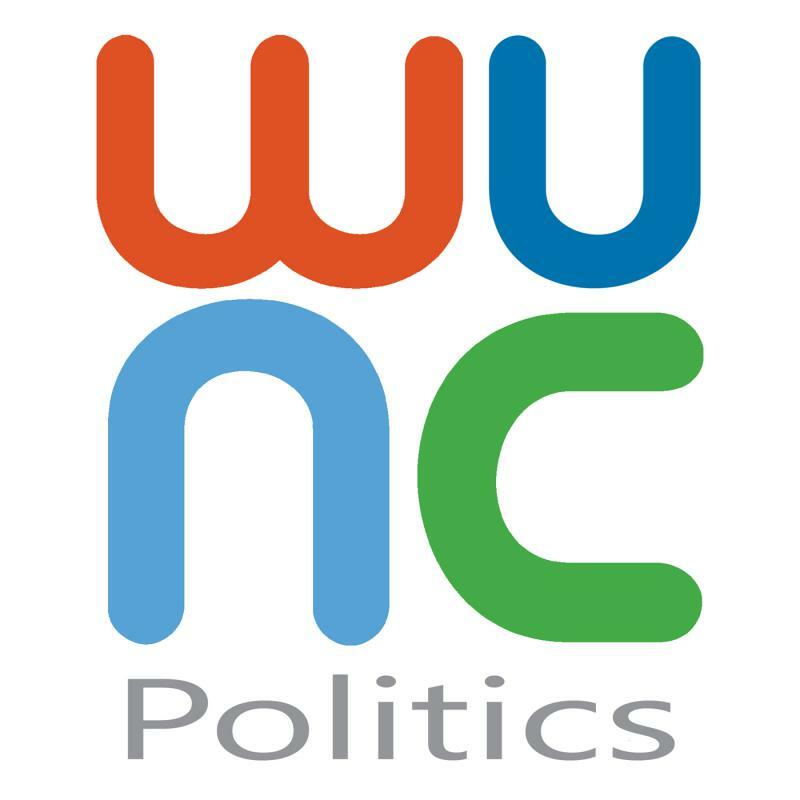 On the fourth edition of the WUNCPolitics podcast: three distinctly different views on HB2. U.S. Attorney General Loretta Lynch, UNC President Margaret Spellings, and high school student Hunter Schafer. They have very different ideas - and have reacted in different ways - to the law passed by the General Assembly in March. 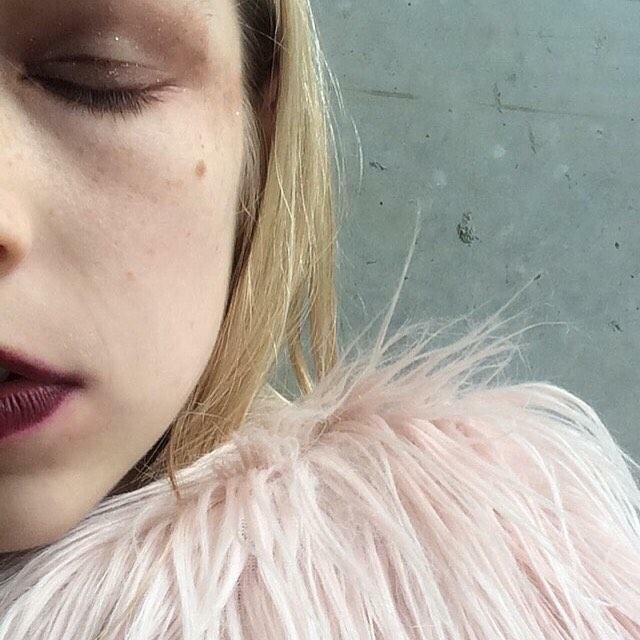 Hunter Schafer is one of several North Carolina residents challenging the state's controversial new discrimination law in federal court.